I agree that I have doctor's permission to run for the marathon and I agree with Pune Marathon's Terms & Conditions. No Refund in case of Cancellation or Postponement of Event. Event is Subject to force mejeure conditions. Update : Registrations for Pune International Marathon 2017 have started. 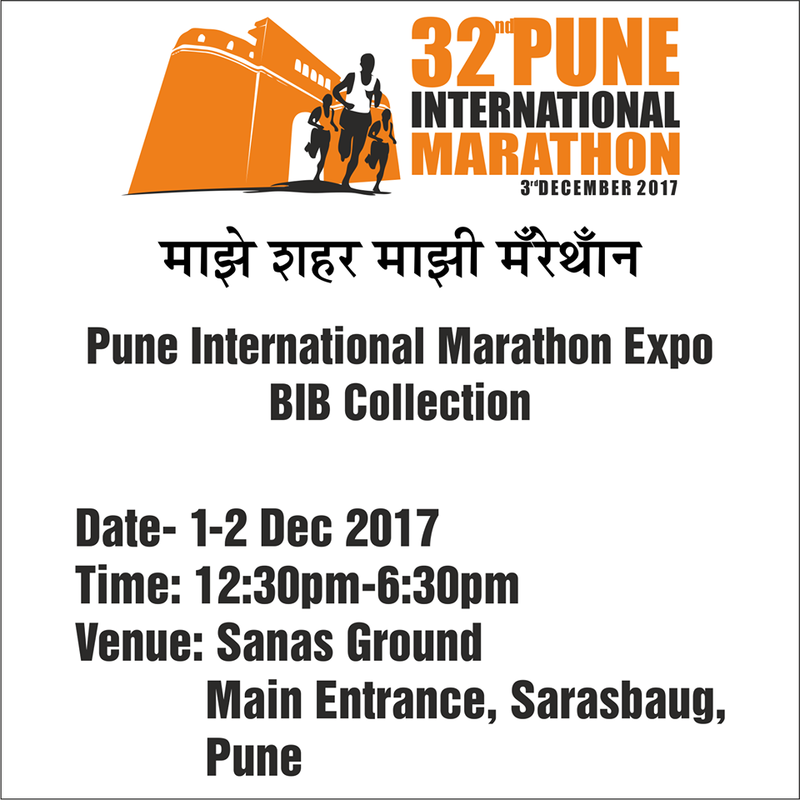 Pune International Marathon is back. India's first marathon is scheduled to happen on 3rd December 2017. 32nd Pune International Marathon 2017 is India's premium Marathon event, Since 1983, thousands of runners from all walks of life had taken part in the event. Pune International Marathon is now widely used as a platform to spread social message and to raise fund for charitable cause. Pune International Marathon route consist of city of Pune's scenic and historic locations and thousands of spectators lining up the course to cheers runners. It is the most anticipated running festival of city of Pune. Finishers Medal and much more..